There are two New Year celebrations in Uzbekistan: one at the end of the Gregorian calendar year, and the other Nowruz, originating from Persia and celebrated on March 21st to mark the arrival of spring. The end of December New Year is a major festival all over Uzbekistan. Lots of special food is thoughtfully prepared, which will probably last up to two weeks after the holiday. The idea is that the New Year’s table should be full and abundant to invite an abundant year into one's life. People travel across the country to join their families, and there are special events, especially for children. 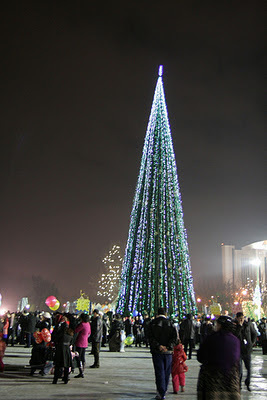 A gorgeously decorated New Year tree is placed in Independence Square, Tashkent, and throngs of people visit the area to enjoy the music, games and (hopefully) the snow. Grandfather Frost and Snow Maiden, as well as many other characters of favourite books and cartoons appear at the square to delight children. Theatres, hotels, cafes and restaurants have special New Year events. The renowned Tashkent circus hosts a special program for children with clowns and acrobats and the Alisher Navoi theatre features a special Winter Tales performance for children. 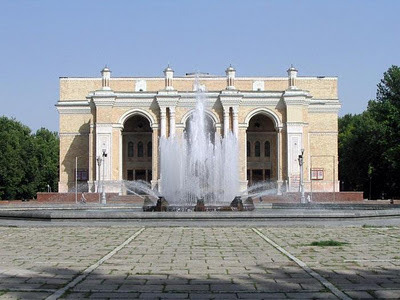 The Alisher Navoi theatre has an interesting history: in the mid-1930s a state competition was held to build a theatre and musical performance space. Work began in 1939 but was interrupted in 1942 because of World War II. In 1944 construction restarted, then in November 1945 Japanese prisoners of war from the Kwantung army were deported to Tashkent and finished the construction. 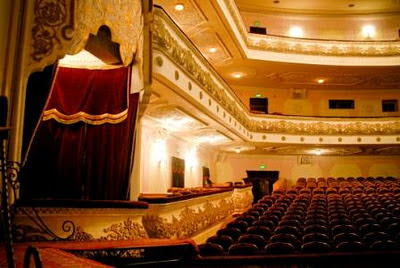 The theatre, named after the great 15th century Uzbek poet and scientist, opened in November 1947. According to Shchusev's design, each of the six lateral halls was to represent the artistic traditions of Uzbekistan: the Tashkent, Bukhara, Khorezm, Samarkand, Fergana and Termez halls each have their own styles and features executed by masters from those regions. The foyer of the theatre is decorated with murals depicting plots from Alisher Navoi's poems and representing the landscapes of Uzbekistan. The only time one can enter the theatre is for a performance: fingers crossed that during your stay a ballet or opera will be scheduled. Classical as well as Uzbek operas are performed there and that is a wonderful opportunity to hear Uzbek traditional instruments as part of a classical orchestra.